Everyone knows how big the Marvel Cinematic Universe is: the unquestioned king of the superhero cage and the default starting point for any discussion of Hollywood history over the last 10 years. It’s a stunning achievement – though not always for the reasons people expect – and even in a business drenched in unmerited praise, words like “unprecedented” feel right at home. 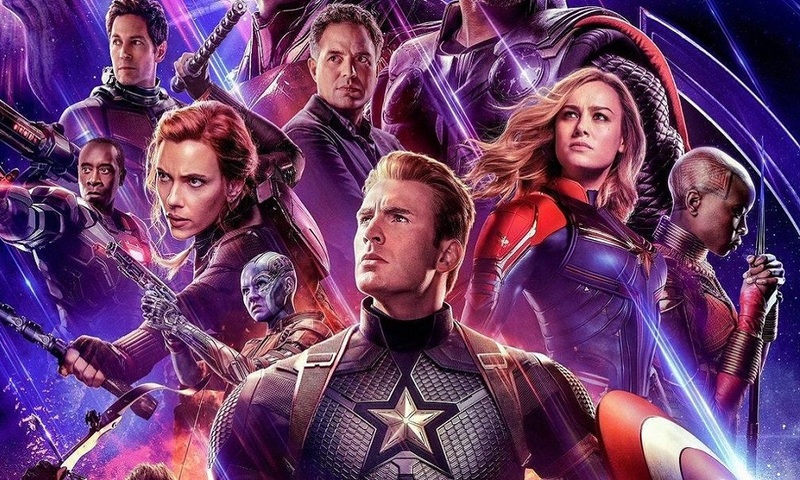 Early word on the upcoming Avengers: Endgame couches it as a finale to the first decade of the MCU… making it an excellent point to take stock of it all. How did it happen? What makes it work? What separates it from other franchises, both four-color and otherwise? In retrospect, no one single element made the MCU what it is. Instead, it rests on a combination of elements, both in terms of the changing moviegoing market and the way Hollywood approaches prevailing trends. 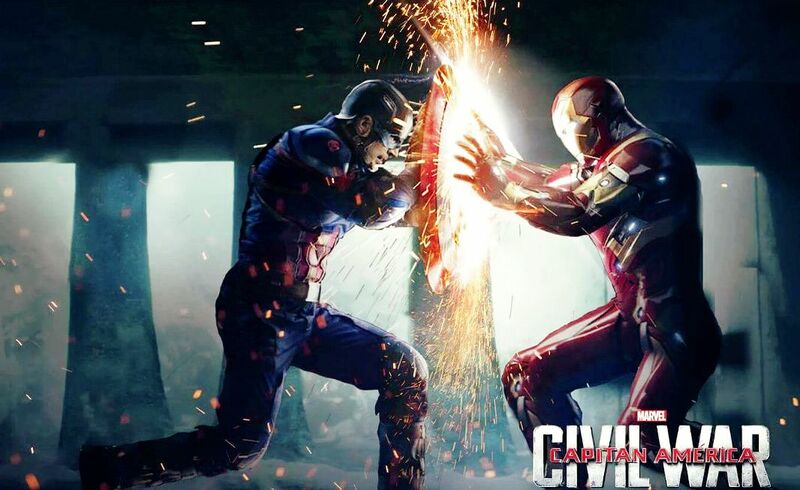 The roots of the MCU go back farther than many people think… and they say a lot not only about why this particular franchise has outpaced its rivals, but why audiences keep responding to it year after year. Film franchises are nothing new, of course. It’s been that way since the silent era, and in some form or another, it always will. Hollywood is a money-driven enterprise, and if they find something that works, they’ll happily squeeze every last drop out of it before moving on. That means lots of roman numerals (in spirit if not always in practice). Superhero movies weren’t exempt from the rule. Indeed, the foundational superhero movie franchises were textbook cases. Christopher Reeve’s Superman movies went off the rails with Part III and bottomed out at Part IV, while Joel Schumacher put a similar kibbutz on Tim Burton’s flawed but undeniably powerful Batman films. So it went with Marvel. The studio found its first mainstream movie hits in the early 2000s, notably with the X-Men and Spider-Man series. Without them, the MCU couldn’t have accomplished what it did. That said, the franchise formula held true. Fox’s X-Men struggled with The Last Stand (Part 3) and X-Men Origins: Wolverine (Part 4), while Sam Raimi’s Spider-Man stumbled into a reboot with Spider-Man 3 (and the subsequent reboot starring Andrew Garfield never quite caught fire). Those franchises continued – and even persevered in the case of the X-Men – but it was a near thing… and other superhero franchises fared worse. The Fantastic Four couldn’t make it past a single sequel, while efforts like Ben Affleck’s Daredevil and Thomas Jane’s Punisher stood as single-movie also-rans. Bryan Singer’s retake on Superman failed to catch on with audiences; Ang Lee’s ambitious Hulk represented a promising experiment, but nothing more; and even the brilliant Christopher Nolan struggled with the third part of his otherwise magnificent Dark Knight trilogy. In other words, these movies all followed franchise playbook, and while they did quite well, they were of a kind with earlier summer blockbusters. That was the pattern that had to break before the MCU could become what it did. As I said, there are two big exceptions when it comes to movie franchises. Both predated the rise of the modern blockbuster in the late 1970s, and both held lessons that the MCU took advantage of. The first was Universal’s horror cycle of the 30s and 40s; the second was James Bond. Both resolutely defied the conventions of other franchises in terms of the number of entries (Universal boasts well over 20, depending on how you count, while 007 currently clocks in at 24 plus a couple of outliers) as well as the expectations they created in their audiences. Universal successfully conveyed the notion of a shared universe to the movie screens: the idea that Dracula, Frankenstein’s monster and the rest existed as part of a single larger continuity. Thus, they could meet up, fight, rampage through Bavarian villages in concert, and so on. The movies became threadbare at times, especially when some of the biggest stars moved on, but it worked… and it worked on the feature film level. Furthermore, grand team-ups in films like House of Dracula and Frankenstein Meets the Wolf Man held the kind of event-picture potential that studio execs could get their heads around. They could stress the size and scope of the film in question as something you had to see. “Frankenstein’s monster fights the Wolf-Man?! Sign me up for THAT!” That in turn fed advertising and promotion, which in turn, made the suits who had to greenlight the whole thing feel much better about what they were doing. The monsters had largely vanished from the scene by the time the MCU came along, but Bond hadn’t. 007 celebrated his 50th anniversary on the big screen the same year that The Avengers hit, and was basking in a huge resurgence thanks to star Daniel Craig. This despite that fact that the Bond franchise had navigated its share of troubled waters before. Producer Albert L. Broccoli kept the engine running by establishing a standard of quality that could keep people coming back despite a bump or two. Flashy set pieces. On-location shooting. Eye-popping stunts. And a suave, charming man in the lead, even if he changed faces every few years. Those joys remained unshakable no matter how bad the Bond film in question was. If you got nothing else, you got somebody actually base-jumping off the freaking Eiffel Tower. That allowed the series to navigate its rough patches, even beyond the occasional sub-par film (Sean Connery’s departure from the role, for instance, or the dodgy period between Timothy Dalton and Pierce Brosnan.) 007 survived because audiences had faith in the brand, and if one or two films were bad, the next one was bound to be better. Its unspoken standard of quality carried it through. The inherent draw of a shared universe, and reliable bang for your individual buck. Two lessons the MCU took brilliant advantage of. Nevertheless, the formula for most franchises remained static for a long time. And while the MCU has changed the game in many ways, it can’t take credit for bucking that trend first. That honor belongs to a pair of series from a slightly different genre. Harry Potter and the Sorcerer’s Stone hit U.S. theaters in November, 2001. The Fellowship of the Ring opened a little over a month later. Both stand on their own as justly beloved modern classics, and indeed, if they hadn’t achieved so much, the MCU might never have reached the heights it did. Fantasy was a shabbier movie genre than superheroes in 2001. Burdened by ponderous dialogue, elaborate backstories, and expensive effects with no guarantees of success, they were considered a gamble in the best circumstances. The immense success of JK Rowling’s Harry Potter novels hedged that bet considerably for Warners, while the literary pedigree of JRR Tolkien’s novels provided ample material for a rival project at New Line. The results speak for themselves. More importantly, they opened up the possibility of something like the MCU for the first time. Both franchises carried sustained, complex dramatic arcs over multiple movies, and set a standard for quality that could reliably bring audiences back. Harry Potter broke the Part 3/Part 4 curse with eight entries that regularly delivered on its fans’ sky-high expectations. The Lord of the Rings films, while unable to escape that curse (the first Hobbit movie is technically a Part IV… and an infamous step down), still achieved a pedigree that eluded the Potter films, and legitimized the genre in one fell swoop when Return of the King ran the table at the Oscars. Epic sagas became the order of the cinematic day. The bigger the better. The more complex the better. And comic-book movies from Marvel and DC held an advantage on that front over subsequent fantasy movies (most of which crashed and burned at the box office). People were familiar, at least in passing, with specific superheroes like the Hulk and Iron Man. That cut down on the lugubrious terminology and up-front exposition that hobbled efforts like The Golden Compass, while retaining the potential for the complex multi-film arcs that helped make Harry Potter and LotR so compelling. Even so, it took another five years for that potential to be realized, and even then, the creators of the MCU didn’t set out to change the game… at least not at first. The man most responsible for the MCU’s success is producer Kevin Feige, whose affable demeanor and omnipresent baseball cap hide a mind like a steel trap. He started his Marvel tenure as a producer for Lauren Schuler-Donner over on the X-Men franchise, and purportedly got the job based on his comprehensive knowledge of Marvel’s Merry Mutants (who number in the hundreds). In other words, he was a fan from the beginning: the importance of which is still lost on those who presume to emulate his success. He understood that owning the rights to the characters was not the same as the characters belonging to him, and that if he didn’t respect the properties he had, longtime comic-book fans would let him know. He could see this in action not only in the ups and downs of the X-Men films, but in subsequent efforts like Spider-Man… helmed by super Spidey fan Sam Raimi and benefitting immeasurably from the results. And as a fan, he saw opportunities in places that the rest of Hollywood missed. Unlike DC, which Warner Bros had owned lock, stock and barrel for some time, the rights to Marvel’s characters were scattered across numerous corporate entities. And not every hero was as valued as they should have been. …while Kenneth Branagh’s Shakespearean background worked perfectly with Thor’s concepts of political machinations among noble families. Even The Incredible Hulk stemmed from Louis Leterrier, whose earlier films emphasized the paranoid man-on-the-run notions that fit Bruce Banner (and his green-skinned alter-ego) to a “t”. These early MCU projects found directors that matched the project, rather than expecting the project to bend to the directors’ will. Each character had a lane. Each character had a flavor. And that paid huge dividends later in the MCU’s development. And yet even that first Iron Man was nothing unusual as far as blockbusters went. In retrospect, it’s exactly what Feige describes: a solid introductory adventure for a character not widely known outside of comics fans. Its success was notable, but not unduly remarkable. Most of the attention that summer centered around The Dark Knight (and more specifically Heath Ledger’s indelible swan song). Ironically, that took pressure off the nascent MCU, which gave Feige (and Marvel) room to explore their options. And yet as vast as the potential was, and as extensive as the ambition might have been, Feige knew how to hedge his bets. Like any canny investor, Marvel diversified. Captain America, Thor and the Hulk were all set up as stand-alone franchises, and could be dropped in the event audiences didn’t respond. Luckily, they did. Cap and Thor both scored critical hits with their respective film debuts, along with healthy box office (though not quite up to the levels of Iron Man). Because of that – and because of the MCU’s subsequent massive success – it’s easy to forget that The Incredible Hulk was supposed to do the same thing… and failed. Plagued by a troubled production, it underperformed at the box office and necessitated a recast before the character could return. Iron Man 2 also ranks as a runt of the MCU litter: rushed through production and never quite coalescing despite a stellar cast (and the kinetic introduction of Scarlett Johansson as series stalwart Black Widow). In other words, the burgeoning MCU was a long way from bulletproof. And that was factored into the plan. Had the first Captain America or Thor tanked, Marvel could have adjusted the formula, ratcheted back their ambitions and maybe focused on Downey’s Iron Man a little more. They could change gears – and expectations – while still retaining a nice line of profitable summer blockbusters. Conditions smiled on them. They had a few hits. 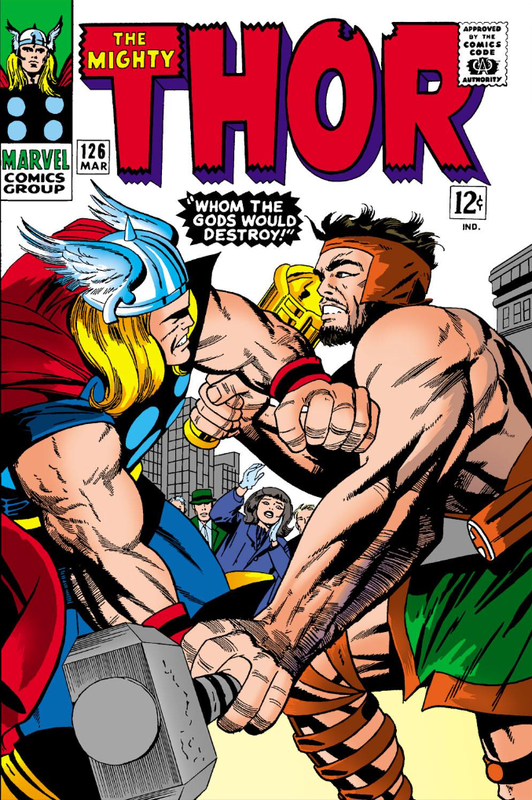 And Marvel’s new corporate owners were no strangers to the kind of mash-up that came next.